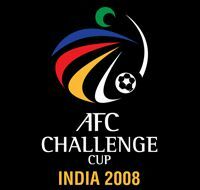 AFC Challenge Cup’08 – my take on India and the chances… | Corporate Social Negligence! If you dint know, there is an high profile football tournament happening here in our own very Hyderabad. India has already played Afghanistan,Tajikistan and Turkmenistan on a morose football pitch, which made one Indian player quip ” our grounds are worse than the Portuguese 3rd division teams” . The stadium can host around 30,000 but hardly 1000 turn up for a match. On an Orkut form, i voiced out that AIFF completely failed to market this footballing spectacle, where as there are counter arguments too; from people who think that the tournament did get its share of coverage. If India manages to qualify from the group and advance, one can only hope for good crowds in the pearl city. Hyderabad has an inspirational footballing history . This is an Irony in Indian Football, good stadiums doesn’t have the crowd to fill in. This tournament would have been a success, if it happened in Kerala, Bengal or it would have been a massive success if it had happened in the North-east. Delhi, which came out with outstanding crowd last time around for the Nehru Cup would also have fitted the bill. But, we don’t really have the infrastructure to match up with the ones in Hyderabad or Delhi else where and this where it all fails. Kolkata as always get its share of good football, thanks to the authorities, they have a good city league and obviously the largest contingent of football fans in India. Delhi too, thanks to our North Eastern brothers and sisters, did come up with huge crowds behind the team in the Nehru Cup. If AFC Challenge Cup’08 had happened in the North-East, it would have been successful and a necessary recognition for their overwhelming presence in Indian Football. Sadly that has not happened. The first match against Afghanistan was a moronic affair. India huffed and puffed to a win. The next match against Tajikistan was also not a spectacular affair, we managed a draw and the final group match against Turkmenistan had the Gacchibowli pitch at its worst. incessant rains had made the pitch a slush pool and India seemed very comfortable playing on it. Thanks to the monsoons that belt in Bengal, Goa and other parts of India, our players are not alien to these conditions. The team played considerably well against Turkmenistan compared to their previous outings in the tournament. On the outset we have formidable team. In goal keeper’s position we have Subarata Paul, who have managed to put up a decent show in the tournament so far. The defense comprising Mahesh Gawli, Deepankar Mondal, Anwar Ali, Samir Naik, Gourmangi Singh and Surukumar is a decent line up, but unfortunately we did not find a stabilised partnership in the defense until the last game in which Anwar Ali and Gourmangi put up a good show. Mahesh Gawli for all the hype has not lived up to the expectations and Deepankar Mondal is out of the tourney because of an Injury. Anwar Ali and Gourmangi did put up a good show in the match against Turkmenistan, Surukumar and Samir Naik also had a good game. To get to final and win the tournament; to earn a place in the 2011 AFC cup, our defense need to be alert; on their toes and put up a spirited display. The midfield comprising N.P.Pradeep, Climax Lawrence, Renedy Singh, Steven Dias and Clifford Miranda is a star studded one, if one wants to term it so. So far in the tournament, this very engine of the team has not worked well and it was very obvious in the first 2 outings we had in this tournament. Steven Dias by-far seems to be the best (in form) player in midfield. I have become a fan of his spot kicks, he is good with his searing runs and crosses from the flank. This guy surely have his shooting boots on; in this tournament. N.P.Pradeep looks rusty but did show glimpses of good touch in the match against Turkmenistan. I am very opinionated about Climax; he did score a goal in the opening match, but i have always felt, he is not up to the job. Renedy Singh is an experienced customer, but for his experience he lacks all the composure he needs to have. I hope we have some one to replace this player in the future and for me the one who should be replacing him should not be Clifford Miranda. Clifford looked completely out of sorts in that position in the match he played against Tajikistan. For all the work he puts in, his final ball is awful and he always runs in to dead ends loosing the ball. I am not Bob Houghton or a “special one” – Jose, but if am to try my luck, i will bring in Mohammed Rafi of Mahindra United in there. Rafi is a decent forward, has good physique and can add some steel in our midfield. And finally the forwards; in Sunil Chetri we have a talented player who might make it as big as Baichung in future. Chetri is a wily youngster who has loads of skill in him but in terms of physique i think he lacks a bit. He is not that type of a ball-holding forward but a nippy player who can make searing runs. If there is a strong support from our midfield , i believe this player might excel but to reach where Baichung is, he needs to put in a lot of effort. At 31, Baichung is definitely the trump card for India and this man always lives up to the expectations. He knows where the ball needs to head in a football match and his tally of 3 goals in the tournament proves that. I really hope he helps us to win this tournament. On the whole, this combination has worked well for India and we can only hope to see better performances from Sunil and Baichung. Sushil Kumar is another played who was tried out by Bob Houghton in one of the matches, but he looked completely out of sorts and was not getting any sort of support from Sunil chetri. Apart from a puny short which he took directly to the opposition goal keeper, he rarely impressed me. It is not fair to dissect Indian football in terms of their counterparts in Europe but there are some points that needs to be examined and one of them is about the tactics that the team employ. While watching AFC cup, i felt we are over relaint on long balls in to the opposition half. There are two reasons for Bob Houghton to employ this : the opposition teams are better ball players than us and to override the stamina problem that might arise due to short passes and formations. Turkmenistan on the outset looked like better ball players than India but the slush in the Gacchibowli stadium did not come of any help to their skills and India emerged victorious because of their long ball tactics. With a shorty in Sunil Chetri who mostly plays as the ball-holding forward; can we take India all the way to victory in AFC Challenge Cup’08 ? I wonder. The only apprehension in me is Sunil Chetri’s fragility while playing as a ball holding player. The second apprehension is the position of Climax Lawerence – the holding midfielder. Is he a holding mid field player or is he not? With Renedy/Clifford on the left wing, Steven Dias on the right, the middle of the pitch is left over to Climax and Pradeep. Pradeep has been scoring goals, so he plays in attacking position and that makes Climax the defensive option in the midfield and i am not too happy with his defenisve abilities. I think, we need to bring in a terrier of a player there, someone like Gattuso, Flamini, Velso to name some. Again, Gattuso, Flamini and Velso are products of an entirely different and efficient system. Comparing Climax to them is utterly unfair of me, but i think India needs to find a player there, who is a terrier who can attack and sustain in the opposition attacks. Give me a break, we have a population of 1.3 billion, we will find one terrier of a player who can replace Climax. Shortcomings apart, it will be great if India can manage a victory in AFC Challenge Cup’08 and that will earn us a berth in the Asia Cup played amongst the higher ranking teams in Asia. 1984 is the last time we managed this and that is a long way back in history. Then again, it will be success for India in another tournament in a short span of time, the other being the Nerhu Cup. 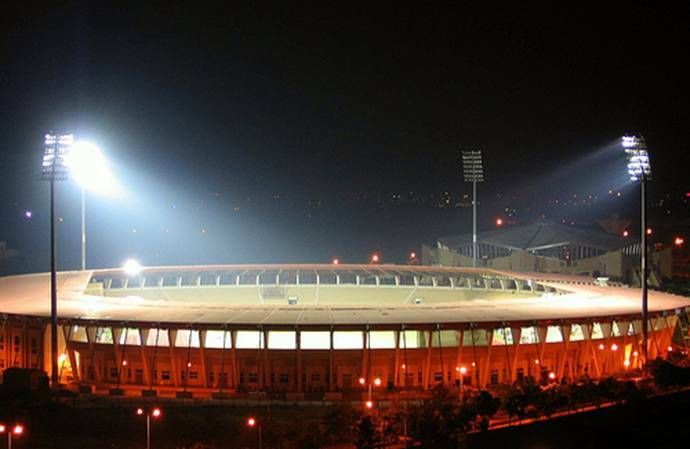 Some how if we manage to win AFC Challenge Cup’08, i would rate it as a bigger achievement than the Nehru cup withstanding the sad part of it – the team playing to an empty stadium! Now it is the turn of Baichung and his boys to make some waves and share a pie of the clinical memory ( if AFC Challenge Cup has some prize money, they can very well enjoy that too!) our press hold. Over to “regret” part – If you feel that you are missing out on a lot; that is happening with Indian football, pull up your sleeves and subscribe/bookmark this broadcast : Indian Football Digest. « Footballers too have an association… and they are planning for a strike in Italy..
Bobo; mate your optimism is very well welcomed but i think, India; for saving football here – should win! You have a great team, who are going to make great leaps in future. I have heard a lot about the great -free flowing beautiful football your nation is displaying with the help of your Brazilian coach. If i am not to be partial here, i would have harped my hopes of myanmar. But for the game in India, the struggling players and for the eager fans, i am vouching for India, because i need to!